Finland’s Rotten Sound should be a familiar name in the metal and grindcore scene. 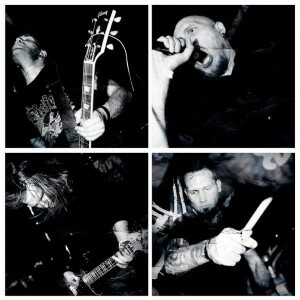 Having formed in 1993, the band consider their first album to be 2002’s Murderworks, but in the last 23 years the band have built up a very full discography from splits, full-lengths and EP’s. However, it has been half a decade since the last album from these grind freaks. 2016 sees the release of their newest album, Abuse To Suffer, their first for Season of Mist, which stands as a welcome return from the group, but has some stiff competition from this year already. Wasting no time on this anticipated return, Rotten Sound blasts trough opener “Lazy Asses” with such force that you can’t help but pay attention. It does a great job as the opening track by reeling in the listener and making you want to hear what else is coming, while showcasing exactly what to expect from the album. Razor sharp riffs and break neck speed on the drums plow through this record while the vocals are commanding and at the same time being able to have a little variety. From a deep bellow to a higher scream, there is no lack of intensity or aggression in the vocal department. Musically, the band has plenty of that aggression as well, and in true grind fashion is able to get their point across in quick, (usually) minute and a half or less tracks. However, there are plenty of moments on Abuse To Suffer that manage to slow things down to a sludge metal like pace, but the transitions are very well done and the heaviness is never sacrificed. 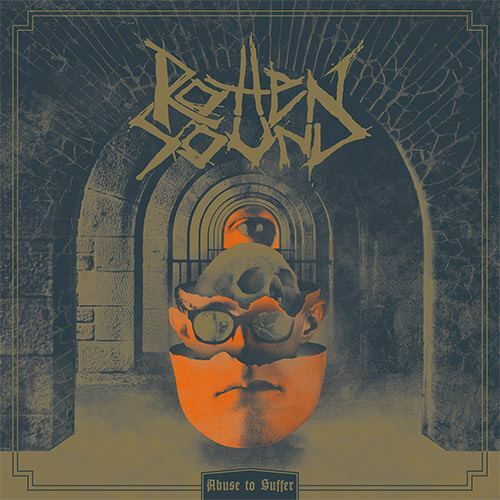 With chaotic music such as this, the best bands are able to make it all seem fresh and give you something to really sink your teeth into and come back for, and Rotten Sound are great at doing that. Whether it be the slower or faster sections, the musicianship is incredibly precise, and the riffs or drums will get stuck in your head enough to make you really focus on what’s being played. There are a few songs on the record that are a bit longer (specifically the near five minute closer), where the band is putting their attention on the more groove oriented aspect of their game, but again there is no abrupt changes to the overall tone or approach of the band to make anything feel like a jarring change in direction. The final track does perhaps loose a little in its length, but generally the album maintains a great pace. Rotten Sound is able to blast through these 16 tracks in under a half hour in a very impressive manner. The pacing on the record is quite undeniable, as mentioned above, with nothing ever feeling out of place. The tracks weave from one to another with no real breaks that the album is juts a non-stop 28 minute assault in the best way. The production is wonderful as well, and allows the band to sound as aggressive and pissed off as ever, but also sounding clean to the ears. Nothing feels rough in the mix or production department, as each little riff or vocal line is picked up and able to fully attack the audience. A very full sounding record for sure but never losing any real human qualities or intensity the band is putting forth. 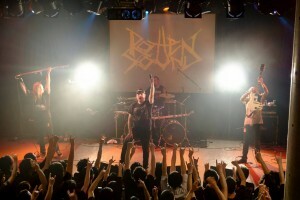 After a five year break, many had been looking forward to some new Rotten Sound material. For those waiting, Abuse To Suffer should bring good news. The album has plenty to love, and plenty to go back for. The album’s run-time is super quick of course, and makes the whole experience that much easier to go back to time and time again. 2016 has been pretty kind to the genre so far with the new Gadget, Livet Som Insats and Wake records. Even the new Nails material looks promising as the year continues to roll on for some talented acts in the grind or even powerviolence category. Rotten Sound has some stiff competition already this year, but should still be given the proper attention to any and all grind fans and fans of extreme music in general. This entry was posted in Black Metal, Death Metal, Reviews, Stoner, Doom, Sludge and tagged Agoraphobic Nosebleed, finland, Gadget, Grindcore, Livet Som Insats, Lock Up, Misery Index, Nails, Napalm Death, Nasum, Pig Destroyer, Rotten Sound, Season of Mist, Sludge, The Secret, Trap Them, Vaasa, Wake, Wormrot.